It’s Palm Sunday 2013 and I have cabin fever something awful! The 2 feet of snow that surrounds me is no longer as beautiful as it was a month ago. My winter coat is so dirty but I dare not take it to the cleaners yet. It’s still too cold. I guess that is why no one has wanted to tour our house. It’s been nearly 2 weeks since we showed the house. Next week we go on vacation. I have very high hopes: first that spring will be here when we return and secondly that a buyer wants to buy OUR house. It seems that most young couples are looking for a more modern home with an “open concept and granite countertops”. If I hear those words one more time, I’m going to scream! However, I am a glass half-full kind of girl so I’m concentrating on some good news. Last week we went to Door County to meet with our builder. He had completed drawings for us (except now we’ve had to change the garage around to fit the setback restrictions and allow room for the drainage field). We picked out the gas fireplace we want and the tile for its surround and hearth. We also chose shakes for the siding, shingles and shutters and nailed down our window choices (we have a LOT of windows). It felt good to move forward on the new house. The more choices we make, the quicker they can break ground and begin to build when this house sells. On Friday we went to Wausau for a doctor’s appointment for me and did some shopping afterwards. I found the exact glass candle lantern I wanted for the new livingroom at TJ Max!! Up until now I’d only seen them at upscale furniture stores for $120 and this one was $30. Little things bring me joy. While I wait impatiently for spring, I decided to write a poem about it. I hope you enjoy it and Happy Easter! not for squirrels and starving deer. “When will the songbirds reappear? the seasons come, each in their turn? when buds burst forth to celebrate. God’s promises are never late. who continually threw himself out of his bowl. he came close to succeeding. just as though he had tried! so a funeral gave him. but his wishes we’d heed. bid farewell with a flush. Mary’s response to the message that she would bear the savior was a remarkable song of praise, sometimes known as the Magnificat (Luke 2:46-55). It begins, “My soul magnifies the Lord,” which means that because God’s announcement opened her heart him in a way that she couldn’t have imagined, her soul was beginning to grasp the bigness of God. I remember the first time I looked through a telescope at the open sky on a cold winter evening. When I pointed it at the half-lit moon, I was stunned as it came into focus-to see mountains and plains, unlike the picture books I was used to, but the real thing in real time. An ethereal, bright disk hanging in the sky was now a real place to me. The telescope magnified its reality. The moon didn’t increase, but my comprehension of it did. Sometimes human beings look at God as if he were a distant point of light. But when we take his word into consideration, and if we accept it by faith, our perspective changes drastically. We see that we are living in a greater reality, with a greater God than we had imagined, and with greater possibilities in our future. Mary knew her life would never be the same-not just her life, but the lives of countless others-because of what God was going to do. This stretched her soul, and it can stretch ours. only one creature stirred, as she cleaned the commode. while Barbies and DVDs danced through their heads. a bicycle assembly kit propped on his knee. she descended the stairs where she spied the old man. which he tracked `cross the rug, leaving boot prints of soot. “A clone?” she retorted, “Now, this I must see. Then in walked the clone - the young mother’s twin! Same hair-do, same eyes, same glasses, same chin. “She will cook, she will dust, she will mop every mess. Then from upstairs the youngest did whimper and fret. “She’s amazing. Thanks, Santa!” said mom with good cheer. The clone changed the small one and hummed her a tune. “Ho, Ho, Ho, “ said wise Santa. “I believe it is clear. The mom kissed her youngest and tucked her in bed. Then she turned and thanked Santa for clearing her head. The grandfather clock started twelve times to chime. Santa laughed to himself, “Ha! It works every time. Everything here’s going to work out all right. Sometimes we need reminding of what life is all about. So stop for a moment and hug that special child, whether he or she is 6 months or 60 years, for they are the Gift that God gave us in life. What a gift to be treasured, far above any other! May the real meaning of CHRISTMAS be with you this year. On the night before Jesus was born, the shepherds would have seen the night sky the way they had seen it thousands of times before. That was a quiet night, in stark contrast to the following night, when an angel would appear with “the glory of the Lord,” announcing the birth of the child-then join with a great company of heavenly beings proclaiming glory and peace. There, on that small blue circle, the entire drama of human history has unfolded: the Creation, the Fall, war, exploration, feast and famine, marriage and divorce, birth and death. And to that blue circle God came, at just the right time, to begin to make things right in the human race. Wherever you are, whatever you are doing, Christmas Eve is a time when we approach that dividing line in human history, the doorway from BC to AD, the revolution begun by the Son of God’s entry into the world. Sometimes you know when you’re on the eve of something big (your wedding, moving to a new home, adopting a child), and sometimes you don’t. Every Christmas Eve we know we are about to mark the moment when Immanuel came. So on the night before Christmas, find a quiet moment when you can think about what was about to happen in Bethlehem so many years ago. Think about all the ways you need someone to be your savior-someone who has the strength, the wisdom, the virtue, that you know you cannot come up with on your own. The Beginning. How much we all want to know about the beginning of all things, in order to understand the now of all things, and to pursue the way things are supposed to be in our lives today. The original design must be the ideal, the way things ought to be. The Bible’s opening words: “In the beginning, God created the heavens and the earth,” delineate between a time in which there was only God, and a new time in which his magnificent creation began (Gen. 1:1). The opening words of the Gospel of John place the Son of God right there-at the beginning: “In the beginning was the Word, and the Word was with God, and the Word was God” (John 1:1). Unlike any other birth, the birth of Jesus was not the beginning of a new life. Rather, one who was there in The Beginning, appeared among his creation through his birth. “The life appeared; we have seen it and testify to it, and we proclaim to you the eternal life, which was with the Father and has appeared to us” (1 John 1:1-2). This appearance was no dream or vision or apparition, it was an extended visitation, a flood of revelation, an appearance of the Everlasting in terrestrial form, a real life. “I AM”: I always was, I am now, and I will always be. That is why he can connect us with our original purpose. God reached out to the human race in a new way in Bethlehem. Whereas in the past God spoke through the words of prophets, a new channel of God’s communication was opened in Bethlehem. God “has spoken to us by his Son, whom he appointed heir of all things, and through whom he made the universe. The Son is the radiance of God’s glory and the exact representation of his being, sustaining all things by his powerful word” (Heb. 1:2-3). So Christmas is about the good beginning (Genesis 1), and it is about the rescue of the now (John 1). That means that Jesus will help us regain everything that a human life was supposed to be in the first place-a real relationship with God, real wisdom, real character, real virtue. He intends to restore the image of God in our humanness. If you have ever stood outside at night and looked up at the canopy of stars, away from the city, away from noise, you may have seen that the stars have a message. In silence they speak, and their voice is thunderous. The star of Bethlehem, a sign in the sky noted by the Magi, may have been a miraculous event, matching the miraculous entry of the Savior into the world, or it may have been a natural astronomical phenomenon, used by God as a sign. In either case, the heavens were speaking in a unique way about a unique world-changing event. Should that come as any surprise? But note that only the observant recognized the sign, and in this case, they were outsiders. God drew outsiders toward Bethlehem with a word that he had placed in the sky. Don’t ever doubt that God is speaking to the “outsider,” and that those who seek will find. Christmas is both for believers, and for those who have yet to come to faith. In those days, it was a celestial sign that attracted the attention of outsiders. Today, there are many signs that Jesus accomplished something unique in the world, acts arise out of and point to his holy character. 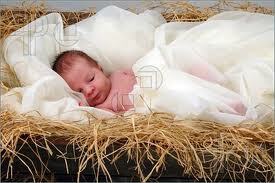 Not only did the Son of God become a baby, but also he became flesh. Divinity joined to corporeal muscle, blood and bones. In this humbling of the eternal Son of God, the Word who was with God from the beginning and was God, chose to begin in the way all flesh does-as a newborn. But what does “flesh” really mean? Doesn’t it sound a bit crass? flawed and full of sin-Jesus’. “The word became flesh.” It means that the Son of God became human-really, truly human-with the exception that he had no sin. Christmas is a time of awe because the best news the human race ever received was that its Creator had so much love, that he joined the human race to save it. 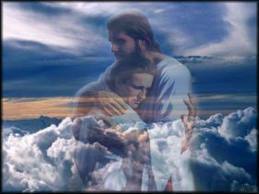 He is a savior who experienced real hunger, real fatigue, real sorrow. He faced temptation when the Evil One tempted him in the wilderness with very “fleshy” things like power, wealth, and authority (Luke 4:1-13). Jesus knows us, because he was one of us. Real flesh, but perfect. So on those days when we are so disappointed with ourselves because we are having a hard time controlling the flesh, this is the kind of savior to turn to.